Sell Us Your Used, Wrecked, Salvage or Unwanted Car, Truck, Van or SUV! 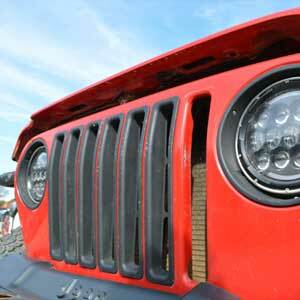 Looking to sell a late model used, wrecked, salvage or unwanted vehicle? At our auto parts location we buy late model cars, light trucks and SUVs for parts recycling or for reconditioning and resale. Our buyers will evaluate your vehicle, offer you highly competitive prices and arrange vehicle pick-up or delivery. 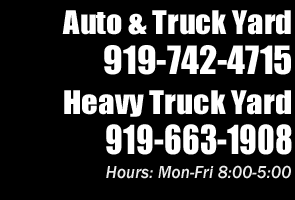 Please contact Brad or Jimmy @ 919-742-4715 for a price quote on cars, light trucks or SUVs. 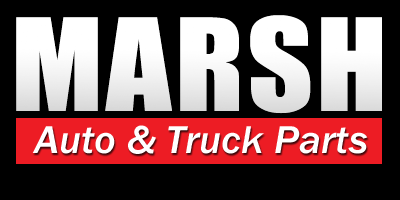 Looking to sell any type of larger or heavy duty truck or van? Are you a fleet truck manager and looking to sell or liquidate wrecked or end of life inventory. 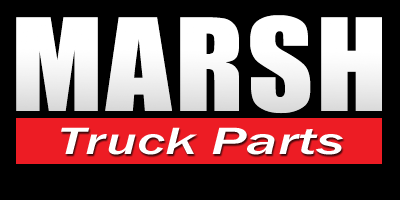 At Marsh Truck Parts we buy all types of used, wrecked, salvage or unwanted medium to heavy duty trucks and vans. From one truck to an entire fleet, we will offer you extremely competitive prices and take the worry out of liquidating your inventory. 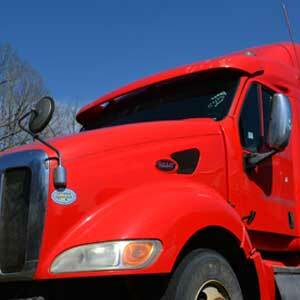 Please contact Steve or Shawn @ 919-663-1908 for a price quote on medium to heavy duty trucks & vans.